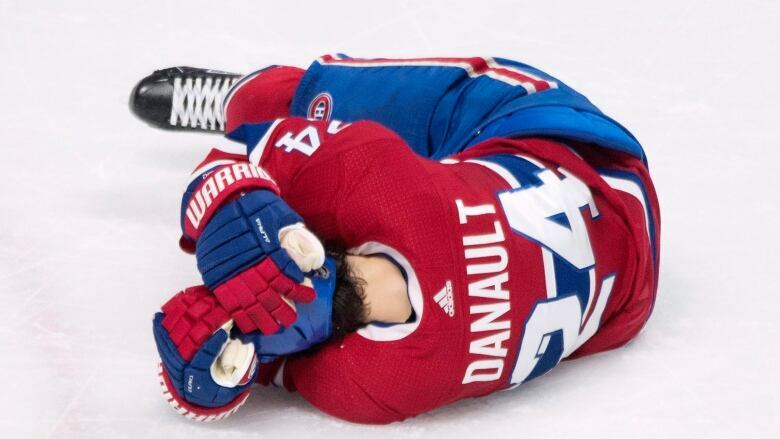 Montreal Canadiens centre Phillip Danault is a step closer to returning from a concussion that has kept him out of action since he was hit on the head by a Zdeno Chara slapshot a month ago. After practising with his teammates on Monday morning, Danault accompanied them on a road trip that will see the club play Wednesday in Colorado, Thursday in Arizona and Saturday in Las Vegas. Coach Claude Julien cautioned that Danault still needs the green light from team doctors to play and wasn't sure if he'll be ready to play in Denver. 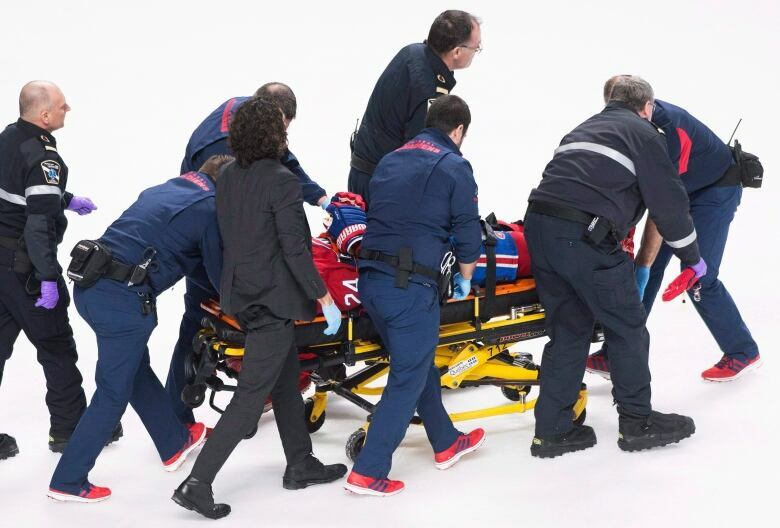 "The medical staff did a good job and I'm back to 100 per cent," said Danault, who alternated at centre with Paul Byron on a line with Max Pacioretty and Arturri Lehkonen. "It will be the coaches' decision. I still need to get back into game shape. "I felt good on the ice. It's been going well the last few days. I can't wait to get back to playing." Danault hasn't forgotten what happened on Jan. 13, when he took Chara's shot on the side of the helmet and dropped to the ice. He remembers how quiet the Bell Centre became as he was treated on the ice by the medical staff before being taken off on a stretcher. He spent one night in hospital was wasn't able to skate for three weeks. "I was lucky, it could have been a lot worse," he said. "If it had hit me on the jaw the symptoms could have been worse. "I feel lucky to be able to talk to you now and to be able to get back to the team as quickly as possible." Chara, who is regularly booed when the rival Bruins visit, and Patrice Bergeron looked as concerned as the fans as Danault laid on the ice. Both later sent him get well texts. Danault appreciated the gesture from the Bruins veterans. "It shows they are leaders, legends, great players," he said. "We compete with each other on the ice but when something like that happens, we're all together. "It's a sign of solidarity. The fans were incredible. I have to give them a big thank you too."